People working there were really friendly and nice. We had breakfast there, it was basic but it was enough and everything was sanitary and clean, people working there made it fun experience. Location if you want safe place for your car and quiet at night is perfect. 5 min walk to the main street and beach is not too much for me. The room was outdated but they keep it fairly clean. However, people please do not rate hotels on how nice the staff are, there are many other things. We were allowed early check-in + we were given option to choose our apartment. Only 2 minutes walk from the Lidl market. Loved the park on the front. I highly recommend this place. Very friendly owner. Perfect terrace. Just in the center but quiet. Close to the beach. 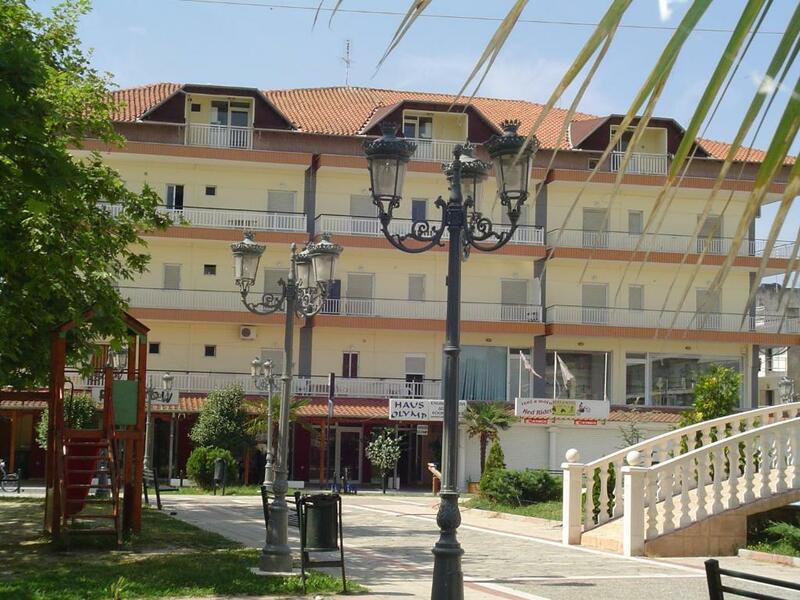 The appartment was very spacious,very close to the beach,restaurants,bars and to the main square in Paralia. The owner was very nice,always in a good mood and helpful. 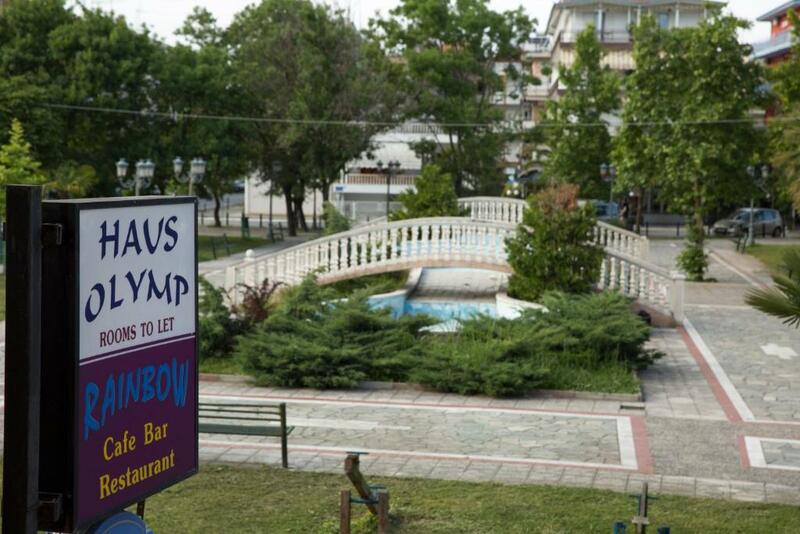 I would definitely recommend Haus Olymp for vacation in Paralia. 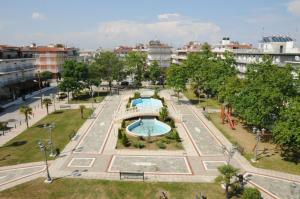 Good size rooms (apartment), great huge balcony with nice view. A lot of towels, changed ones in a week. Super clean and nice rooms with the nicest staff you can imagine. Great location and great bang for the bucks! Close to the beacb and main areas. Very friendly and helpful host. Its not the most modern but suited perfectly for our needs. 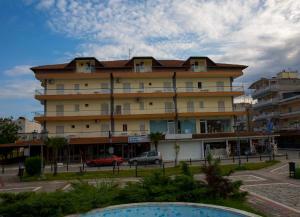 Clen and big appartments with two bedrooms, kitchen and bathroom. Plus very long balсony. Good bar with terrace. We've arrived at 10 a.m. and I've received the apartment keys in less than 20 minutes. The owners are very nice and they offered me a lot of information. Must go back next year! Very nice and helpful owner. 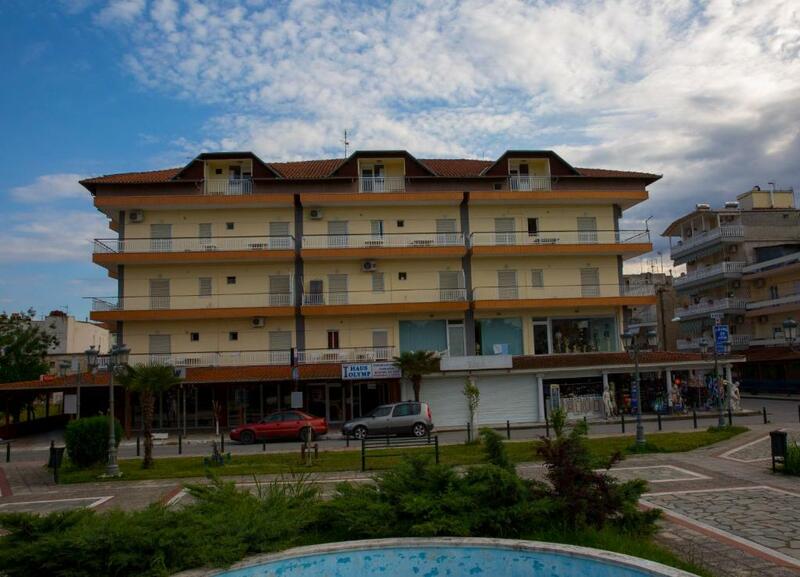 Close to the sandy beach and to Lidl market. Towels and bed linen changed every 3 days. Elevator and restaurant downstairs. 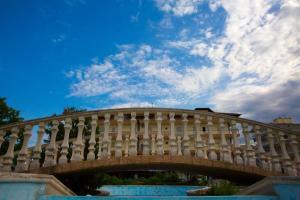 Lock in a great price for Haus Olymp – rated 8.6 by recent guests! 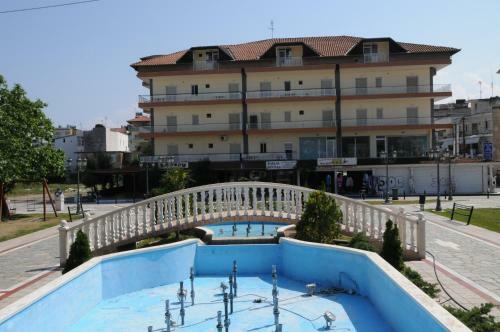 Just 300 feet from the sandy beach of Paralia Katerinis, Haus Olymp offers self-catered studios and apartments. There is a cafe bar on site, and Wi-Fi is free in public hotel areas. Rooms feature simple light wood furnishings and tiled floors. Each comes equipped with air conditioning and a TV. Units include a full-size kitchen with fridge and kitchenware. 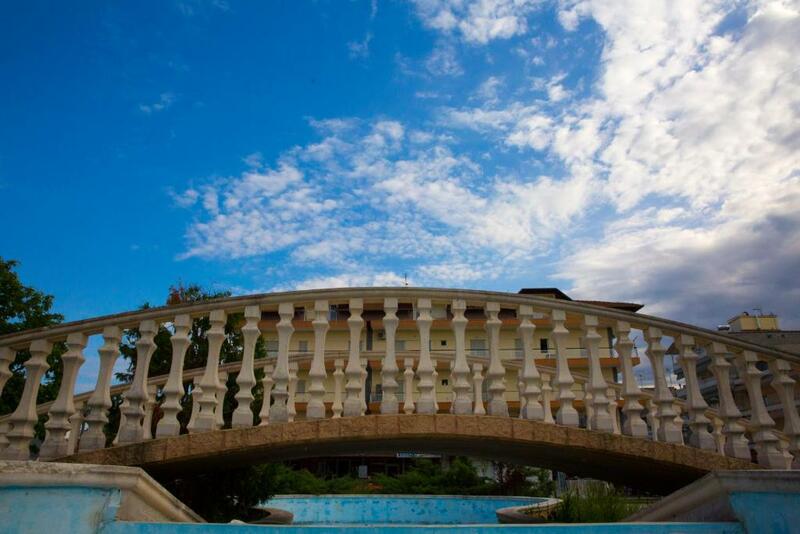 Paralia Katerinis is known for its taverns, restaurants and nightlife. Paralia is located 43 miles south of Thessaloniki and the Makedonia International Airport. Free public parking is available close to the hotel. When would you like to stay at Haus Olymp? This simply furnished studio offers a kitchenette, cooking hobs and fridge. A TV and air conditioning is also included. This simply furnished apartment offers a kitchenette, cooking hobs and fridge. A TV and air conditioning is also included. House Rules Haus Olymp takes special requests – add in the next step! Haus Olymp accepts these cards and reserves the right to temporarily hold an amount prior to arrival. Cleaning products are provided in all the units. Please inform Haus Olymp of your expected arrival time in advance. You can use the Special Requests box when booking, or contact the property directly using the contact details in your confirmation. Poor location. Bad apartament . Black in the bathroom from the water i guess. Small and dirty kitchen. The frige was unuseble because it has red parts because mixing iron with water. We will never go back. The price was good but everything else not. Kitchen a little too small, no space for eating in there. Small bathroom. I think my room was far from wifi spot, so internet was little bit slow. In bar and on the balcony internet was fast! The hotel starting from the elevator, the hallways and especially the room feels like you are in a submarine, our room was really small. We planed to have only one cooked meal (spaghetti) at the tiny room, the ancient stove could not boil water and all the kitchenware is almost unusable. I know it is cheap place but I do not think they will save a lot on toilet paper. And maybe first thing I should have mentioned is that there was no warm water in the shower two out of three times. Very low water pressure and often cold water in the shower. Quite loud apartment due to thin walls. To small kitchenette for us. The rooms was not airy enough. We just stayed for one night as a stopover to our final destination. The host was very kind, waiting for us late in the evening. You have private parking on site. Hotel is centrally located.